I was super excited this morning when I heard the mail truck run! Why? Because I knew what was in it! You see…last week I was paroozing one of my favorite websites for hand made gifts…ETSY.com, when I came across a shop that sold mineral shampoos and conditioners…and a bunch of other mineral items! The best part about the set? It smells like cinnamon apples!!! I LOVE holiday scents. Denee was kind enough to let me try a sample of her wonderful products! 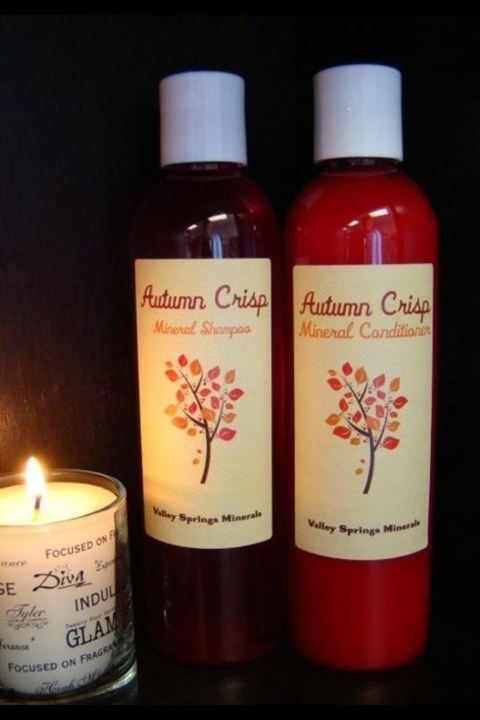 She sent me Autumn Crisp Shampoo & Conditioner…as well as an awesome Pure Mineral Mud Mask. I sort of had a blast with the Mud Mask. 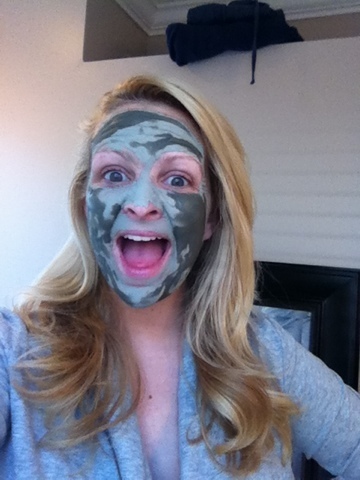 I’ve never used one before and was a little tickled at how I looked during the “Mudding” process! FUN! 3 Hours post mudding…My face looks and feels awesome! 🙂 I guess good things come to people who try new things. Now on to the Shampoo and Conditioner! LOVE IT!! My hair smells of freshly cut apples. Oh. My. Gosh! I haven’t dried it yet, but rest assured, when I do- I will post pictures of what it looks like! I just couldn’t wait to post this give away! YOU can win all of these products! It’s super easy. Of course you will also want to visit her ETSY shop to check out all the awesome products she has up for sale! On Friday – I will use a random number application to pick out the winning comment! I will announce the winner and get in contact with them to set up shipping of their awesome shampoo/conditioner/and Face Mud! I must say – I AM SO EXCITED ABOUT THIS! So comment away!!! This is a great idea Sweetie! Love Skin So Soft. Hey, need more belly shots! Gotta see if Harper has dropped! MY CAN’T LIVE WITHOUT IS AUSSIE 5 MIN MIRACLE. 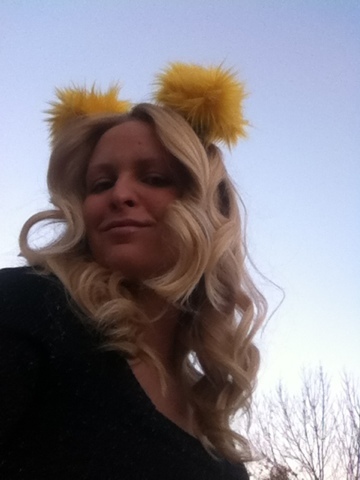 BEING PREGNANT MY HAIR DID NOT BECOME GORGEOUS, INSTEAD DRY AND UNMANAGEABLE. SO THIS PRODUCT HELPS FOUNDERS FOR ME! 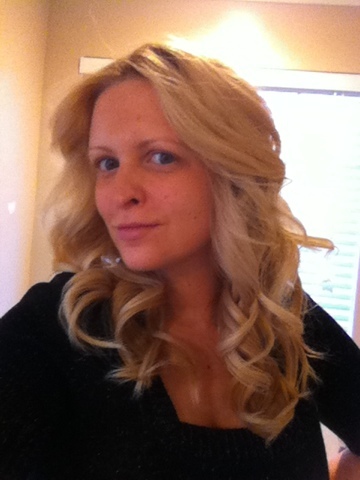 My favorite product is Aveda smoothing fluid! 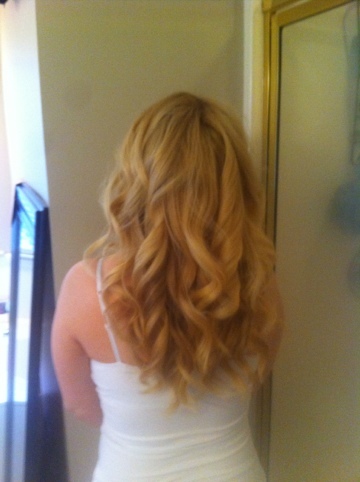 No one ever knows that I really have curly hair. As you know, I am obsessed with all kinds of products! My current favorite is my bearberry Clairsonic facewash combined with the Clairsonic face scrubber. 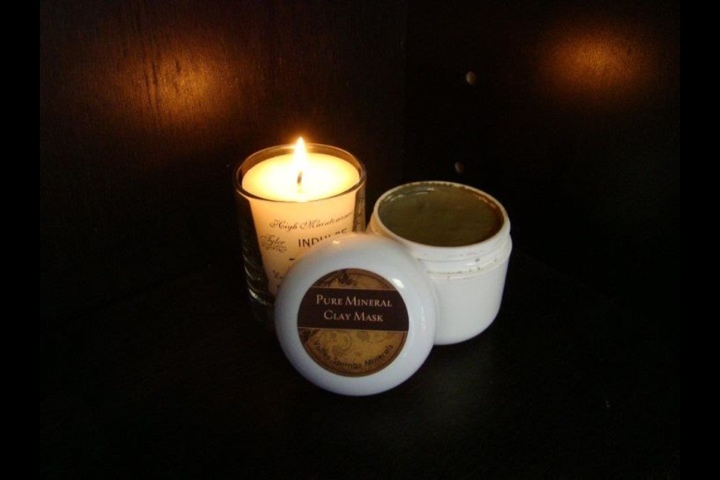 Does wonders for dry winter skin!